I know it’s only August, and that it’s still 90° outside, but I want apple season to be NOW. If I bake it, fall will come. Last week, in the midst of construction, I learned a valuable lesson I wanted to pass on to everyone. It was evening, the contractors were working late to finish up a few things, Mel was out of town, and I was making Jordan’s dinner in our garage “kitchen.” I popped her bagel pizza into the toaster oven to broil and then I started the vegetables going in the microwave…and then the power went out. It turns out that you are not supposed to use a microwave and a toaster oven on the same fuse at the same time. Luckily, the KitchenMart guys were nice enough to look at the fuse box for me. (Seriously, could that thing be more confusing? Mel has tried and tried to teach me how it works and I just go into a fugue state and never remember his instructions.) Turns out not only did I blow the fuse I actually broke it. The good part about having contractors at your house every day? They fixed it the next morning. Speaking of stressful situations, I’m figuring out that dieting during a remodel is not going to be easy. I was good all day the day the lights went out…and then I self-medicated with Caramel Apple Pie Magic Bars and wine. Dare I say it was worth every calorie? It dawned on me a few weeks ago that I haven’t made magic bars in a really long time. I decided to remedy that with two new versions, this being one of them. (The other will be coming soon, pinky swear!) This magic bar version is one of my favorites of all times. 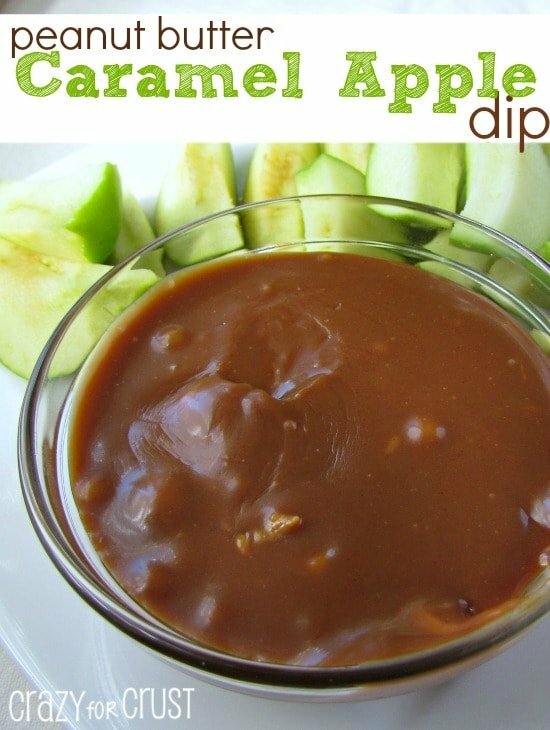 It combines my love of caramel, sweetened condensed milk, and apple pie! Then you sprinkle chopped apple, white chocolate, nuts, and Rolos. 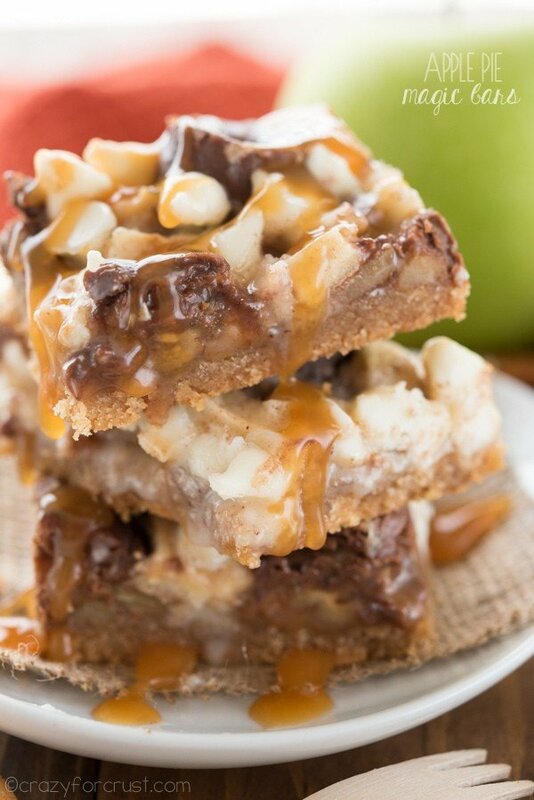 Drench the whole thing in sweetened condensed milk and bake and you have the best magic bar recipe ever: Caramel Apple Magic Bars! Don’t like white chocolate? Use milk, semi-sweet, butterscotch, or peanut butter chips. Don’t like Rolos? 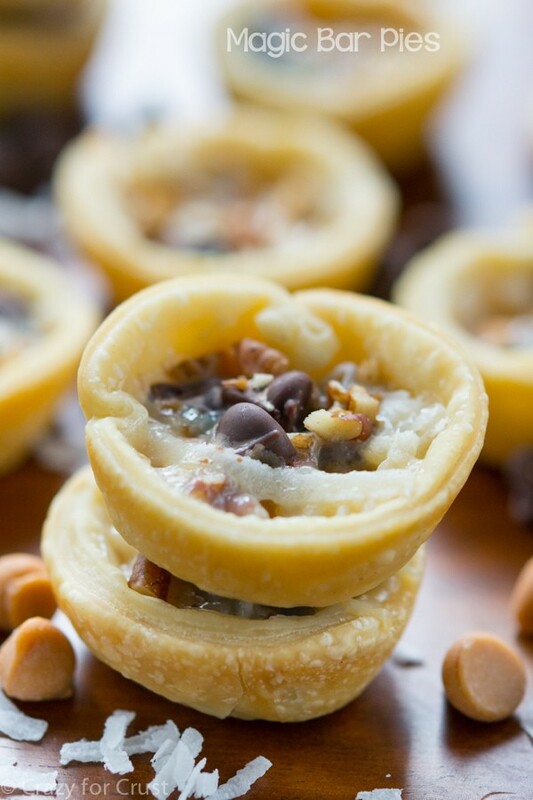 Use Hershey’s Caramel Kisses, Caramel Bits, or even peanut butter cups. I used pecans, but you can also use walnuts or even almonds. I used a Granny Smith Apple and diced it very small. Use your favorite apple! I also drenched the bars in caramel sauce before eating because, duh. More caramel > Less caramel. 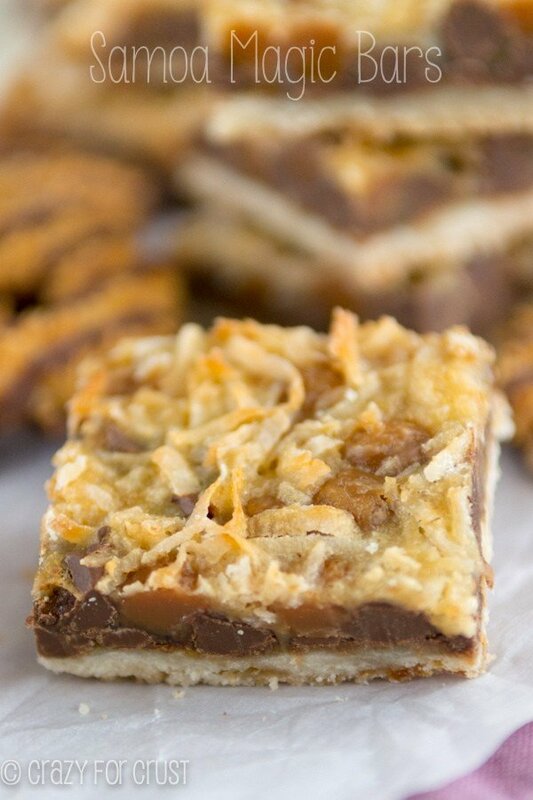 I can’t wait to make these again – and make more magic bars for you. But not while I’m running the microwave… ? These Caramel Apple Pie Magic Bars are the best way to eat apple pie! 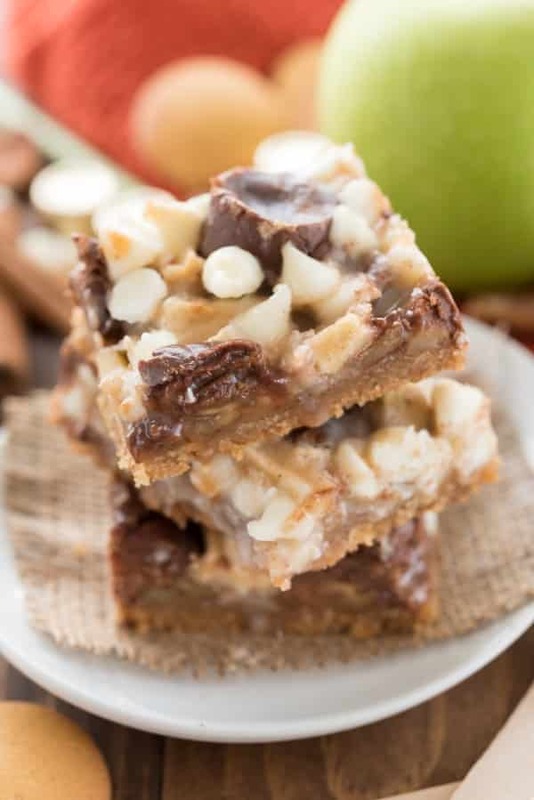 A Nilla Wafer Crust is topped with white chocolate, Rolos, and apples for the PERFECT magic bar that tastes like the best apple pie! Preheat oven to 350°F. Line a 9x9” square pan with foil and spray with cooking spray. Process the Nilla Wafers in a food processor until they are a fine crumb. Stir crumbs into melted butter and add salt, stirring with a fork. Press into the bottom of the prepared pan. Bake for 5 minutes. Stir sweetened condensed milk (SCM) and cinnamon together in a small bowl or measuring cup. Sprinkle apples, Rolos, pecans, and white chocolate chips over hot crust. Pour SCM over the top evenly. Return to oven and bake another 21-24 minutes until the edges are golden. Cool completely before cutting into bars. Store in an airtight container for up to 3 days or freeze in a single layer for up to 1 month. Could you double the ingredients and make it in 9×13 pan? Is it possible to do this recipe with a 9×13 pan?